The All-Star attendance in Dallas this year is projected to be over 100,000 people! I wonder how loud that building will be with so many NBA fans in a single sitting. This year, the NBA decided to change the “Team” shooting stars to “City” shooting stars. In my opinion I like the city option better because it gives more teams to show their city talents instead of individual team talents so they can brag about it in the end. 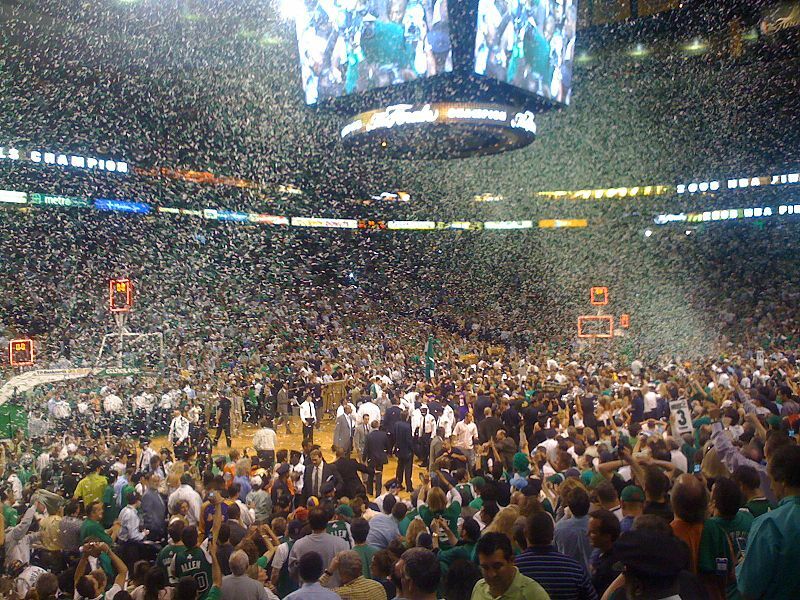 Instead of a team bragging, it can be a whole city. So everyone can get along! Let’s see the teams. Why? Dirk Nowitzki is going to knock down shots no doubt. With the help of Becky who has been a consistent shooter through her career and Kenny “The Jet” Smith having a pretty decent jumper for his age, I think Becky or Dirk can finish the half court shot pretty easily. Why? Chris Webber is not that old and can still throw it down with the best of them right now barring injury. Pair him up with Tyreke Evans and they’d make a good team. But this event is more shooting based so they might have some difficulties getting the last shot down but at least Webber can throw a ball further than Kenny Smith. Now the Taco Bell Skills Challenge. Last year, rookie Derrick Rose took the title with a quick finish of 35.3 seconds. Rose will be defending his title with plenty of past year winners this year in Dallas. Let’s see a few of the league’s fastest guards. Why? No disrespect to the others but Deron still holds the Skills Challenge fastest finish record with an incredibly low 25.5 seconds! Last year Williams wasn’t in the contest, but now that he’s back and 100%, I think he can take the title back. Why? The all-star and returning champion is going to be back to back. He’s an elite point guard and more athletic than an old Steve Nash and a Deron Williams whose beard is weighing him down. His only challenge is Branden Jennings but he was in Italy and Italians don’t know how to play. I’m disappointed Kapono isn’t in the shootout this year. But hey, he had back to back 3-point contests before Daequan Cook stole it last year. Let’s take a look at the sharpshooters. Why? No one has made more threes this season than Gallinari. Frye and Gallinari are the only players hitting over the hundred mark in three point shots this season. In the final round, I believe the sophomore Knick can edge breakout player Frye by a shot or two. Why? He’s not just a team leader, he’s one of the most proficient shooters in the league and can throw it down. When Chauncy is on fire, no one can touch him and he is the most experienced shooter out of all of them. In the past years, the Sprite Slam Dunk contest has players using many props. Dwight Howard with his “Superman” cape, Nate Robinson jumping over short and tall people, and Gerald Green blowing candles out. I think the dunks should be based on three categories. Originality scale 1-10, Creativity 1-5, and Finish 1-5. Sounds a bit complicated but I feel that it would bring more fun for the dunk contest. I’m hoping to see many surprising things this year. Everyone is a new contestant besides current champ Nate Robinson. The 2010 dunkers are…. Why? I’m an L.A. native, I watch Laker games. When I see Brown hop to dunk, it’s plain sick for a short kid getting that high above the rim. Shannon stated “I can touch the top of the backboard”. In case you haven’t heard, the last person to touch a top spot on the backboard was Dwight Howard with the sticker dunk a few years back. 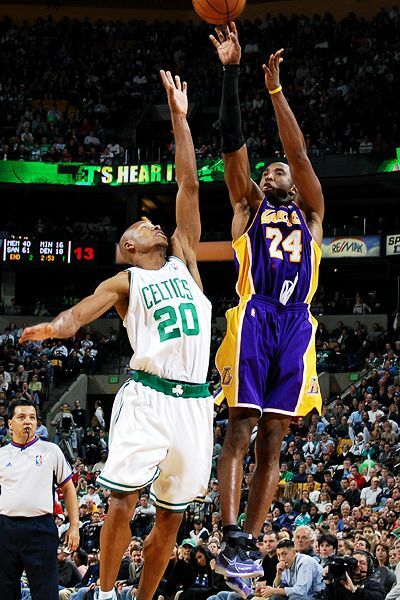 Though Dwight didn’t win that year, that’s still freakishly impressive for a 6’4 guard getting that high. If I picked a final round for the contest, it would be Brown with either Derozan or Wallace. Derozan gets up. Wallace shows to finish aggressive around the rim, so I’d also take him to the finals. Why? Crash is going to do some crazy ish in the dunk contest. Shannon Brown has hops but Wallace will do some crazy oh my god dunks that will get everyone off their seats with gaped mouths. Why? When I deeply think about it, the 2009 draft class was one of the league’s best ever. Last season in Phoenix was a fun one to watch. Shaq, Kobe, and Phil reunited for a fun performance. The starting line-up wasn’t so different from last year with the East having the same starters this year. Let’s take a look at the team’s full roster. 3 * Allen Iverson (Philadelphia) G 6-0 165 06/07/75 Georgetown, D.C.
Why? East is the powerhouse this season. Why? This is going to be a fun and entertaining game showing the best talent around the world. Lebron’s going to do something awesome, Dwight is going to do something funny, it’s going to be a good time. Before I name my All-Star starters and bench I’d like to ask the NBA to fix a huge problem. Look, I know in the past Tracy McGrady and Allen Iverson were terrific stars who scored ridiculous amounts of points. On top of that, they put up a great show the their devoted fans. Now, look at those two stars. Tracy McGrady – He has only played 6 games for the Rockets. Averaging career lows in every stat. I don’t blame the guy because he barely gets to play due to some feuds going on. But deserving to be on the All-Star team? Not even. He shouldn’t even be placed as a candidate for the All-Star game in 2010. Tracy isn’t even “with” the Rockets at the moment. I’m not saying China (which is the majority of the all-star votes) votes shouldn’t count. I’m proposing players like McGrady should be off of the ballot. Allen Iverson – I remember back in the day A.I. was probably the most sickest scoring point guard in the league. The key words were “back in the day”. Yeah Allen WAS a star. But now, he’s just some old veteran with a lot of previous talent who doesn’t have rings. It’s unfortunate to see Iverson’s career closely coming to an end. In what is probably his last year in the NBA, fans feel he should deserve to be in the All-Star team one last time. I don’t think so. With rising star point guards like Derrick Rose and Rajon Rondo, Allen should be bumped off the list of candidates. I respect A.I. and what he has shown in the past, but a 2010 all-star nod just isn’t right for his mediocre season. Another thing I’d like the NBA to change is the All-Star roster. 12 players seem to less, and 15 seems too much. I say fans can vote for top 10 starters for each conference. Add 4 more players for each conference who are chosen by the coaches in the league. I remember for two years, I felt Deron Williams deserve the All-Star nod. But with the overload of talented guards in the West doesn’t give Deron any attention. My top 12 players (since they only have 12) from each conference deserve the All-Star spots the most. The “easy” East isn’t too difficult to find the starters. There isn’t much to look around. Here we go. The East guards aren’t hard to choose from. Rondo is the most consistent point guard in the East. If the Celtics didn’t have Rajon, the Celtics wouldn’t be looking at the Finals. Yes, the Finals. That’s how important Rondo is to their team. His defense is solid and nearly always averages a double double. The aging big 3 are still the main points for Boston. After this season, the Celtics should look to invest in Rondo. One of the given in the East, Wade will enter his 6th All-Star season. Dwade is basically lifting his team to the playoffs and try to reach as far as they can. In one of his fewest healthiest seasons, the MVP candidate is hands down the best shooting guard in the East so far. Competition for Dwyane against the Eastern Conference guards are nowhere near close. Who can forget King James? LeBron is “beast mode” this season (as Marshawn Lynch likes to say). In one of his best seasons, James has helped brought the Cavs to the top of the Eastern Conference. His player efficiency rating is no surprise and is still number one in the league. His last five games he has shot 57%. Impressive. LeBron so far looks like the clear MVP winner in the league. All the trade rumors floating around Bosh must bother him. Or he just dusts it off his shoulders and averages career highs in Points, Rebounds, FG%, and 3-point shooting. The Raptors must be STUPID to try to shop him. Chris is a franchise player. Toronto shouldn’t ship him, but build a great team AROUND him. How is it possible for Bosh to have his best season despite playing less minutes in the past few years? Vote for this cowboy . Any player who leads the league in rebounds should be able to earn a starting spot for the game. I gotta say this though. The Magic aren’t going to win games if they don’t use Dwight to his fullest potential. Howard aka “Superman” gets ONLY an average of 9 shots per game behind Vince Carter (15 shots) and Rashard Lewis (11.5 shots). Do these Orlando players don’t see the dominant center in the middle who can out muscle anyone? Dwight is still the best center in the league today. Rose? Really? Yup… the East’s point guard reserve comes down to Derrick Rose. The Sophomore gets the vote because of his leadership for the young Bulls. Good thing for young Rose is that he increased his point scoring by 3 points since last year. Joe doesn’t get enough respect from fans. The man has been consistent in every stat in the past three years!!! He deserves the All-Star spot right behind Wade. Johnson should be the captain for the Hawks, then the league will recognize this hard-working player. Another player who doesn’t get enough respect. Wallace is my favorite for Defensive Player of the Year award. Rebounds and blocks seem to be his highlights every night. Gerald has finally developed into an All-Star player I have waited to see. The best Eastern Power Forward behind Bosh. Lee is one of the most consistent scoring and rebounding forwards/centers in the league. The Knicks are still a mess, but Lee has picked up the slack for this team to win games. David leads the Knicks in 4 statistical categories. Rebounding machine. In four games this season, he grabbed 20+ rebounds. Noah is +5 in rebounds and points since last year. If you don’t think that’s amazing, you try and increase your averages in two stats by 5. The talented West has many players to choose from. Here they come. At this point, Nash is playing as well as his two MVP seasons. Seems like when he ages, he plays better!!! Steve has to be the toughest point guard in the league. The guy is turning 36 on the 7th of Feb. He just had 7 stitches in his mouth against the Pacers and STILL returned to try to help the Suns win. How does he do it? I don’t know. I don’t even think Steve knows himself. Nash is shooting a career high with a near 54% from the field. The Suns would be nothing without Nash. How can you hit two buzzer beater game winners in the first half of the season? How can you play with a broken pinky and index right fingers AND have back spasms? Yeah, Kobe hasn’t shot well lately, I know. But that shouldn’t make him any worse… Bryant’s playing hurt and can still be clutch. Going into his 12th All-Star selected season, Kobe still proves he is the greatest player in the league. LeBron is consistent, but the Lakers led by Kobe still has the best record in the league. Plus, compare the West and Eastern Conference records. The East is nowhere near close as the tough West in standings. Young “Durantula” are proving doubters that he can become a franchise player and bring the young Thunder team into the playoffs. Kevin, who is one of the favored players for the Most Improved Player Award is scoring a career high of 29.1 points per game. The Thunder’s chances of claiming a spot in the playoffs to me are high. Look at the Thunder roster. Besides Westbrook and Green, who else helps Oklahoma with the scoring load? KD is an amazing player at both offense and defensive ends. Another player who doesn’t seem to get enough respect in this league is Dirk. Dallas is ranked 2nd best in the tough Western Conference. When I watch Dirk play, he’s the most clutch big man I have seen in the game today. From the perimeter, baseline, or driving it in, Nowitzki gets the job done for the Mavs when they need it the most. Sometimes I wonder, “How do you guard this guy?”. Give him space, he pulls up on you. Put a body on him, he can pass you and head straight to the hoop. Dirk should be finally given the starting spot in the All-Star spot. Tim needs to be center so he gives Dirk a chance to claim that starting spot. Duncan is aging. On the other hand, he’s still good as hell. The F/C is matching his career high in FG% since his 2006-07 season. Double-double averaging player and turning 34 in April, Duncan is aiming for his 5th title. Tim’s career has had seasons with a few bad injuries, but he still has the All-Star performance on the court. Ever since Paul came back from his troubling injury, the Hornets are 15-10 and is still kept in the hunt for the playoffs. The Hornets have been a disappointment all season, but Chris hasn’t. 32 out of Paul’s last 33 games, he has scored in double figures. He is single-handedly carrying New Orleans this half of the season. How are the Blazers even winning without even having their roster healthy? Oden, out. Przybilla, out. Batum, out. Fernandez, out. Even Roy himself is out at times, but he is STILL doing work. Averaging a career high 23 points per game, Roy should enter his third straight All-Star appearance. Melo’s scoring shot up 8 points per game since last season. The Nuggets are one of the most powerful teams in the West from the help of MVP candidate Carmelo. Anthony also leads the league in scoring with 30 ppg. Melo has picked up his career by shedding weight for this season and maturing into a franchise player. Pau is the second best player on the dominant Lakers. He averages a double-double after coming off a hamstring injury. This is his first season he has been averaging a double-double. Though Kobe is still considered the best player in the league, Gasol takes the weight off of Bryant’s shoulders when it comes down to business on the court. When has the Clippers had a player who has played in the All-Star game? Chris has performed like an All-Star player. He is also one of the favorites for Most Improved Player Award. Averaging 20 points and 9 boards per game, Kaman is having a breakout season. I believe the Clippers have a chance to make a playoff run if the team comes together and as Kaman performs as well as he does now every single night. Deron is nearly averaging a double-double. In the past seasons, he HAS average a double-double. How has Williams never been voted an All-Star? In the past years, it has been Ginobli and Parker stealing Deron’s spotlight. Those aging guards aren’t having a great of a season as Williams has. Deron should finally be able to claim that last spot since he’s one of the top 10 point guards in the league. Averaging a double-double per night. Wait no, make it a 20 points and 11 rebounds per game average. Zach is part of what the Grizzlies are today. Memphis is one of the most surprising teams this season. Great coaching? Probably. But Zach averaging ridiculous stats per night is probably the reason why the Grizzlies have a shot at the playoffs. With the help of the big 3…. actually make it 4 with Zach, Mayo, Rudy, and Gasol. Memphis is on pace looking at their best season since the 03-06 seasons.